River Park: Great starter home in Port St Lucie. Two separate storage sheds for all those extras. All measurements should be verified by buyers. Easy to show. Venetian Palms: Come see this 2 bedroom 2 bath first floor condo in Venetian Palms today. This condo has 1033 sqft of living area with an open den area off the living room and a tiled lanai. Venetian Palms is a resort style community with a large swimming pool, clubhouse, fitness center, tennis courts and more. Venetian Palms is centrally located with close proximity to local amenities including shopping, entertainment, restaurants, schools, and hospitals. Cresthaven: 2 bed 2 bath condo in +55 community of Cresthaven. End unit with outdoor rear patio. Large living area and overall clean unit. Musa At Daniels: Great opportunity to purchase this first floor 2br 2ba condo with screened lanai. New carpet and new water heater. Well located off Daniels Parkway. Musa At Daniels offers two pools, clubhouse, tennis courts, grilling area, fitness center, and picnic areas. N: Nice size 3 bedroom 2 full bath End Unit Condo unit with 1145 of living SF. Perfect for an end user or rental. Close to Schools, shopping, and dining. All sizes are approx. Buyer and buyers agent responsible to verify all HOA rules, regs and documents. All offers must have proof of funds or prequal. Wonderful Opportunity! Fantastic 2 Bedroom 2 Bathroom 1st Floor Waterfront Condo End Unit at Normarc now available! This 55 Plus community has Beautiful Freshwater Basin Views and a Large Inground Swimming Pool just Steps from this Unit! Brand New Paint. Carpeting, Fixtures, and HVAC System! Move in Ready! Bring Your Buyers! Bright Open Kitchen with Lots of Cabinetry, Breakfast Bar and Nice Flooring. Living and Dining Room Combination with Sliders that lead out to the Screened Lanai with Canal Water Views! Master Bedroom with Walk In Sized Closet and Sliders leading to the Screened Lanai. Master Bath with Shower. Guest Bedroom with Large Closet. Guest Bathroom with Tub Shower Combination. Inside Laundry. This Condo is within walking distance to Cape Coral Hospital and Restaurants. Schedule Your Showing Today! See the Property Tour! A Must See! Alva: 5.00 Acres For Sale in Alva, FL with small canal to the south boundary. Bring your Dogs, Horses, Cows, Chickens or a Green Thumb, plenty of room for everyone including your dream home. Floor Plans available, ask your agent today. Pine Ridge: Nice clean home on 2 floor. Active over 55 community. Short walk to clubhouse with heated pool and hot tub. Utility room with full size washer / dryer. One pet under 25 lbs. 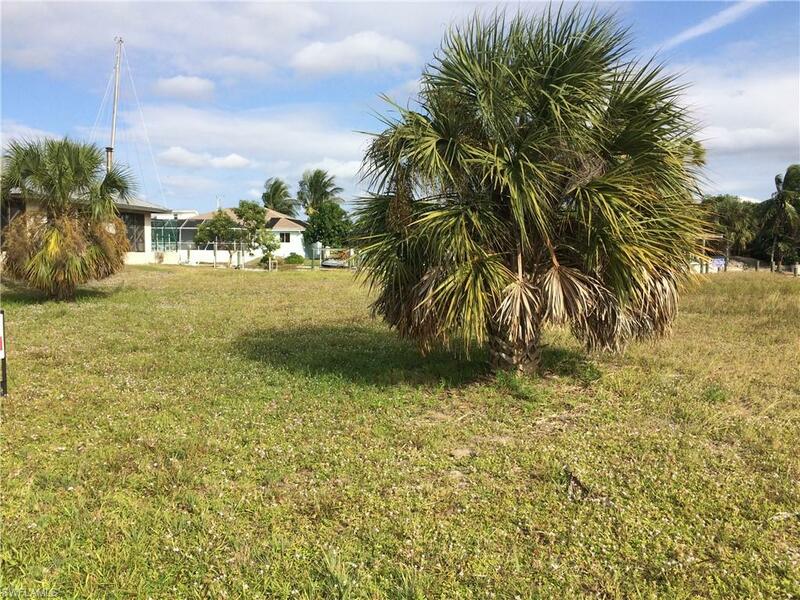 Gulfhaven Add: Excellent canal front lot in prime St James City location. Directly across the street from Woody's Waterside Restaurant. Zoned C-1 commercial, but a single family home is an accepted use without a rezoning request. Perfect spot for a waterfront tiny home with VRBO potential. Honc seawall. Some fill, but add more if you're concerned about sea level rise. Adjacent vacant commercial lot is also for sale. Buy both and benefit greatly from setback gains.